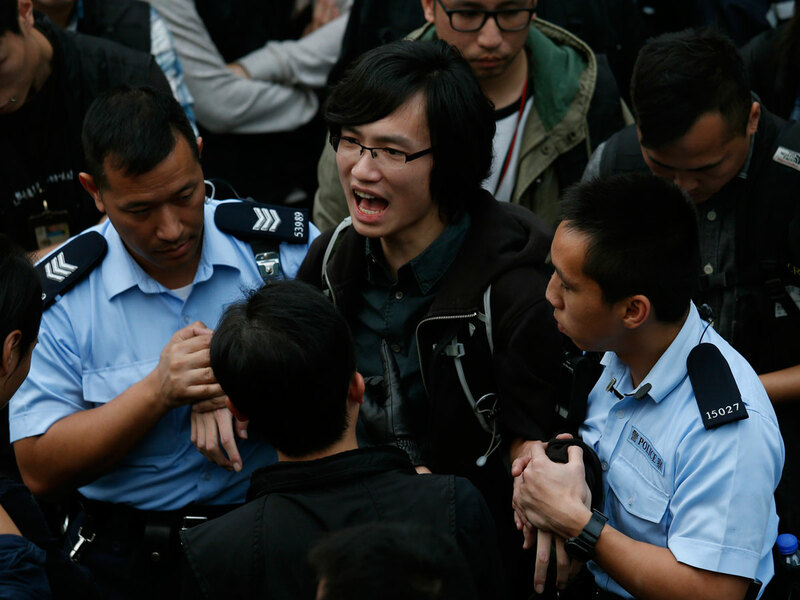 A policeman clashing with pro-democracy protesters in the Admiralty district of Hong Kong on Dec 1. 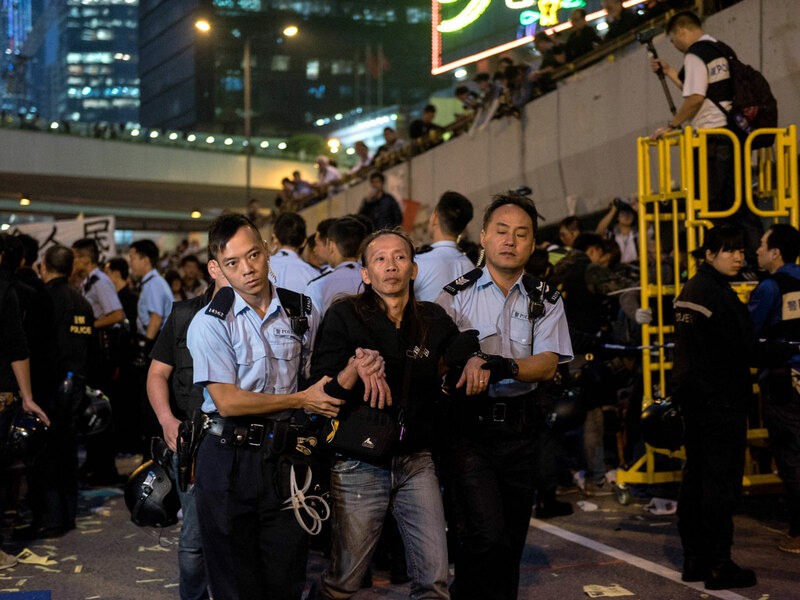 The highly respected Hong Kong police force has lost some of the public’s trust and support as a result of actions taken during the last 11 weeks of demonstrations. 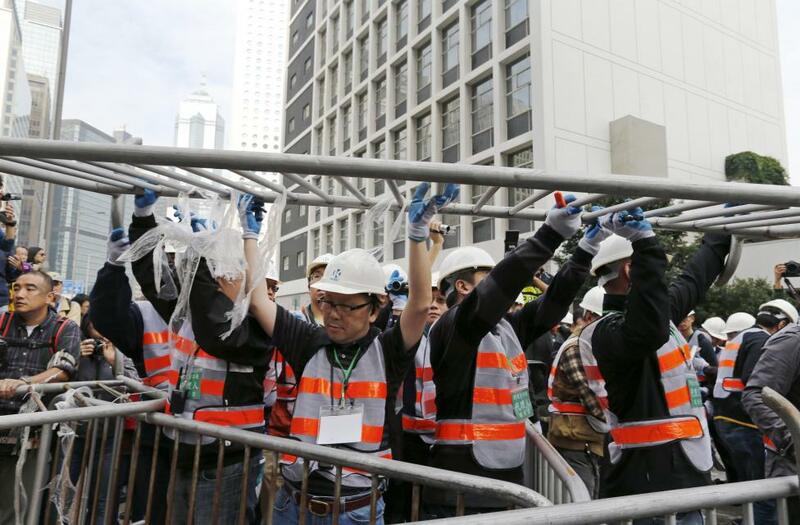 HONG KONG - Hong Kong police dismantled the city's main pro-democracy protest site on Thursday (Dec 11), clearing tents and barricades after more than two months of rallies and arresting more than 200 demonstrators, who vowed their struggle lives on. 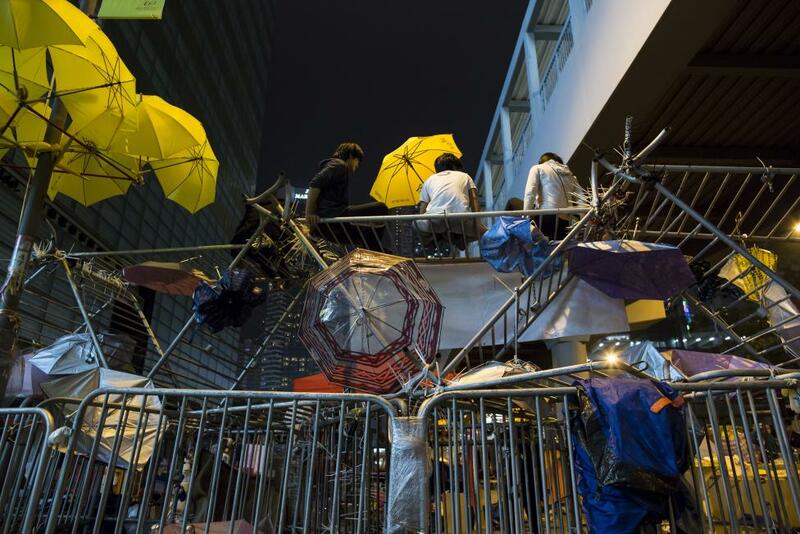 Hundreds of police moved in from all sides of the Admiralty camp in the heart of the business district sweeping away shelters and supply stands before swooping on a core group at the centre of the site, including student leaders and lawmakers. 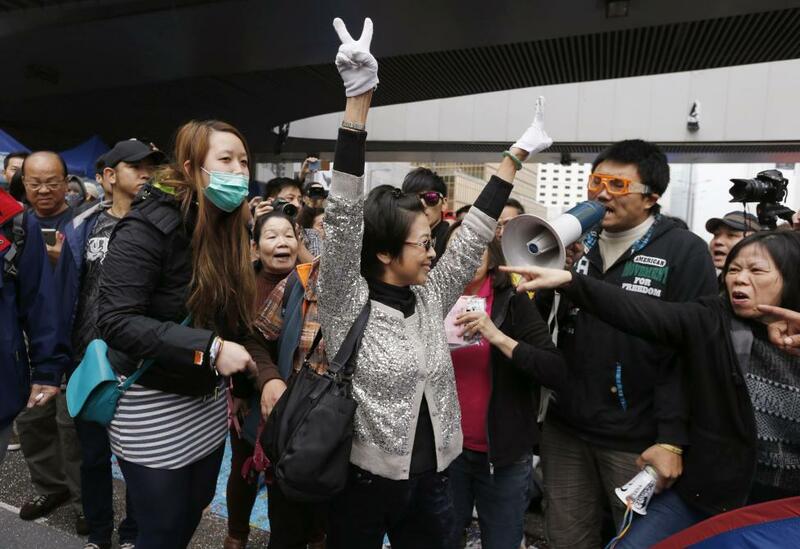 As police cleared the last handful of protesters late Thursday, parts of the site reopened to traffic for the first time since September. 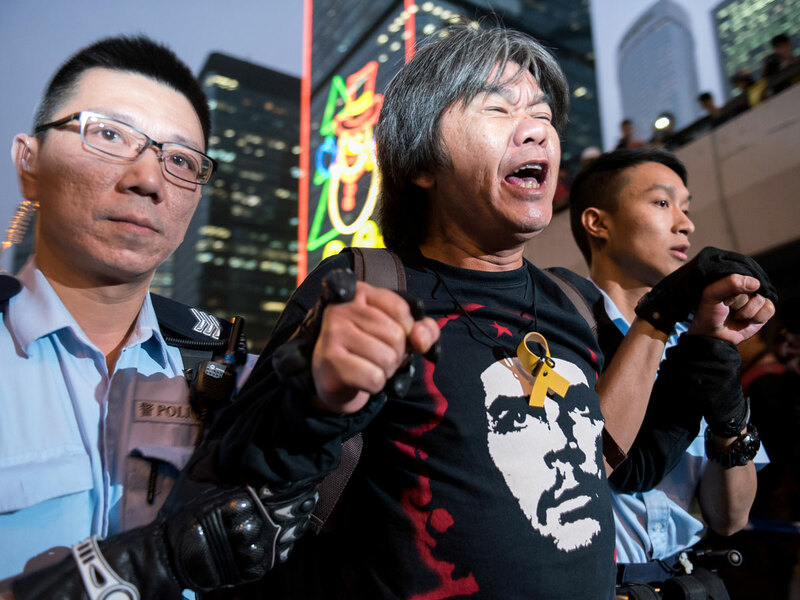 The dozens making a last stand were the remnants of what once numbered tens of thousands of people at the height of the protest movement, before public support waned. 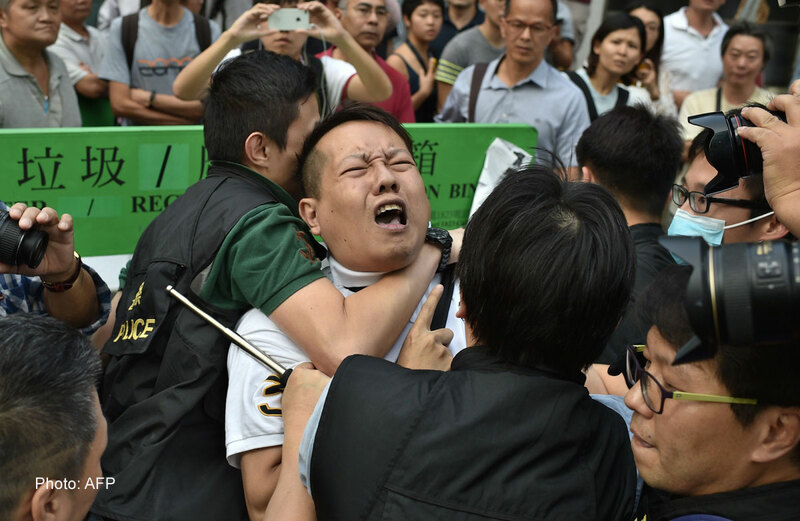 The call for free leadership elections has underpinned the demonstrations, and protesters have vowed the clearance operation will not end a campaign they say has redefined the city's vexed relationship with Beijing. 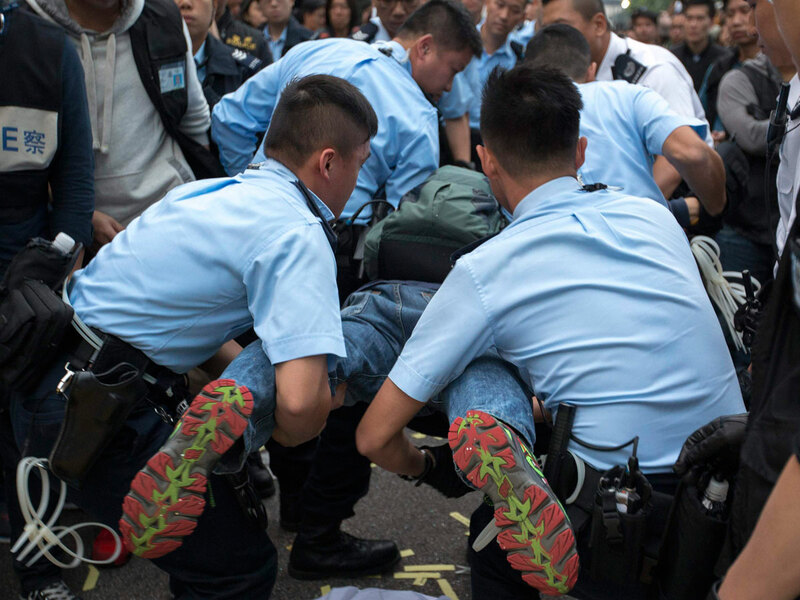 Some were carried by groups of four officers while others were led off on foot. 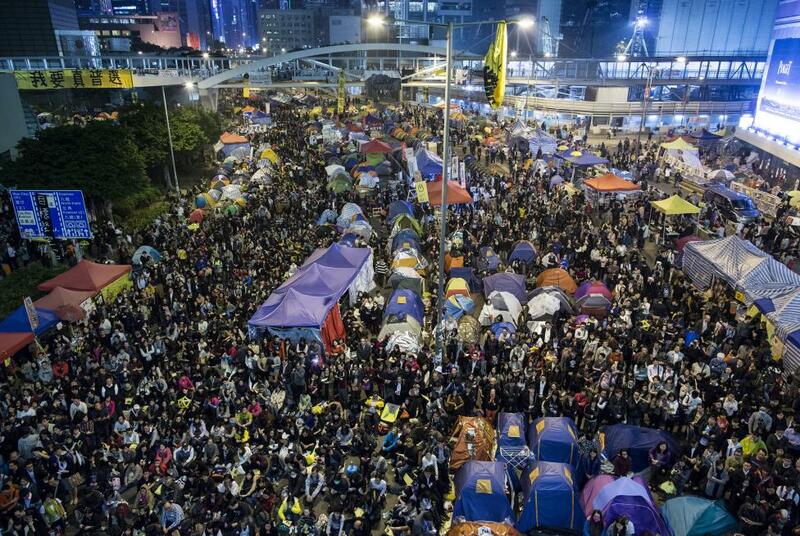 Those who remained lay on the road shouting, "We are peaceful", "We will not resist" and "I want true democracy". 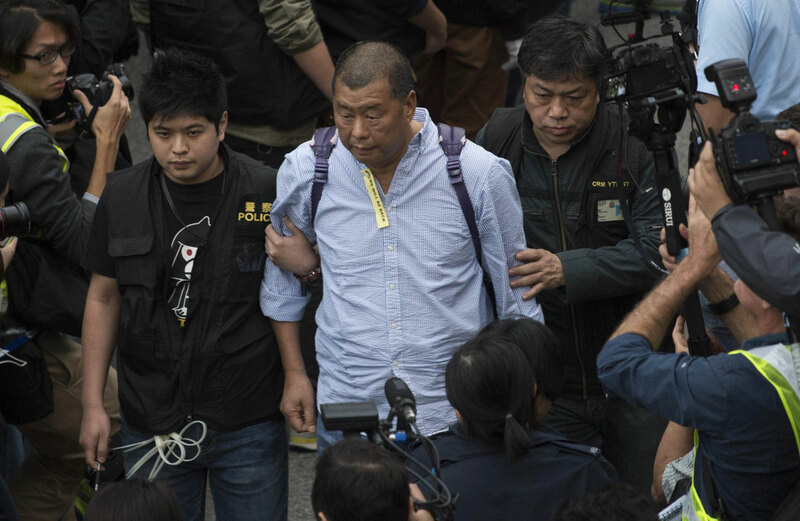 Among those arrested are lawmakers and media magnate Jimmy Lai. 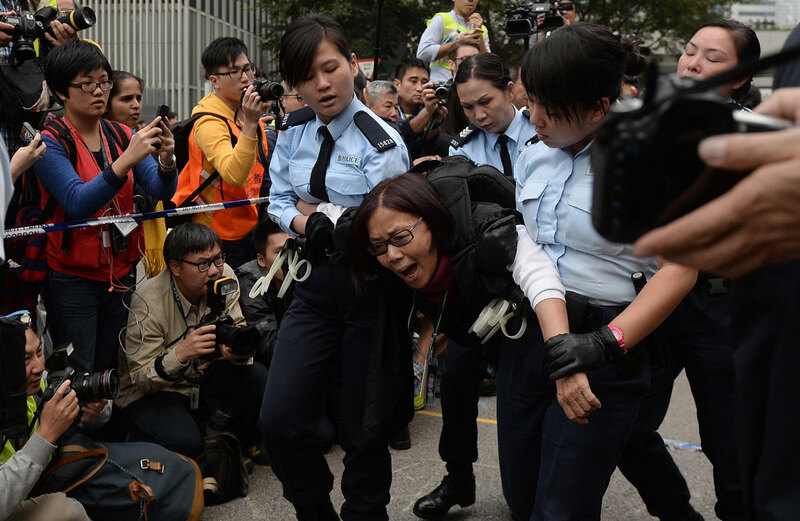 A lawmaker supporting the pro-democracy movement is taken away by police. 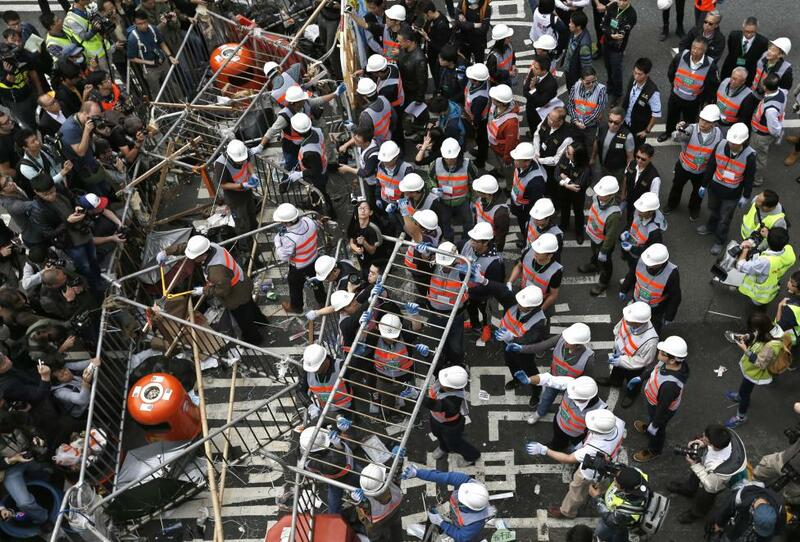 Hong Kong police arrested more than 200 protesters after dismantling their main protest site. 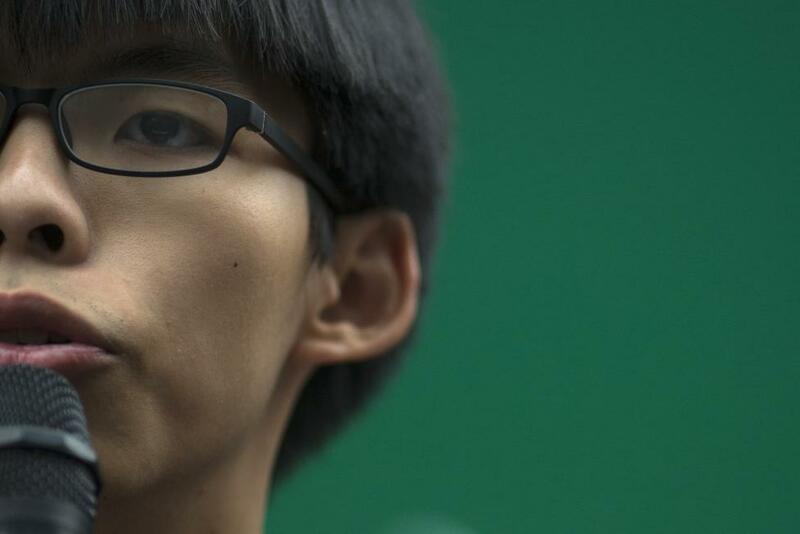 Student leader Joshua Wong speaks during a news conference outside government headquarters on December 10. 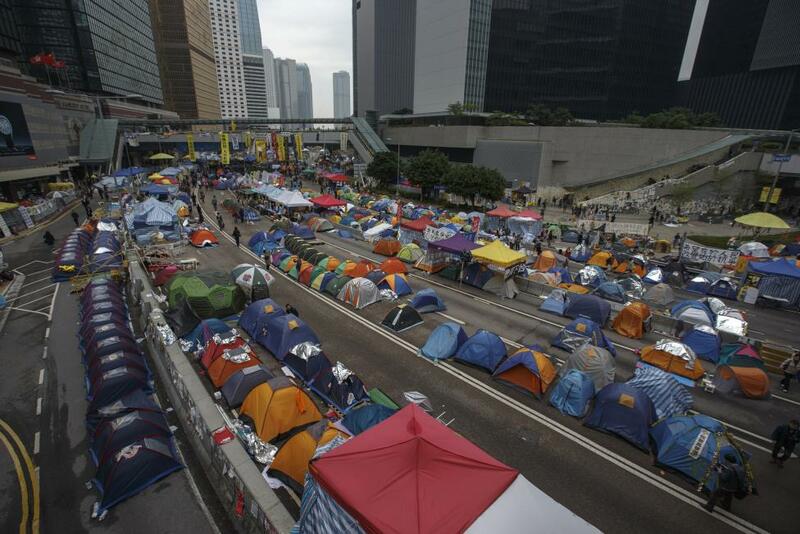 Tents set up by pro-democracy protesters line the roads at an Occupy Central protest site. 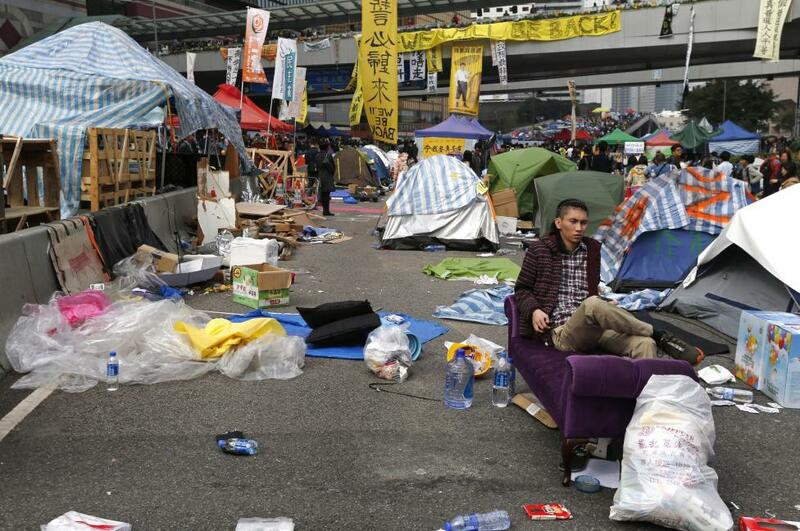 Pro-democracy protesters sit on a barricade outside the government headquarters at Admiralty on December 10. 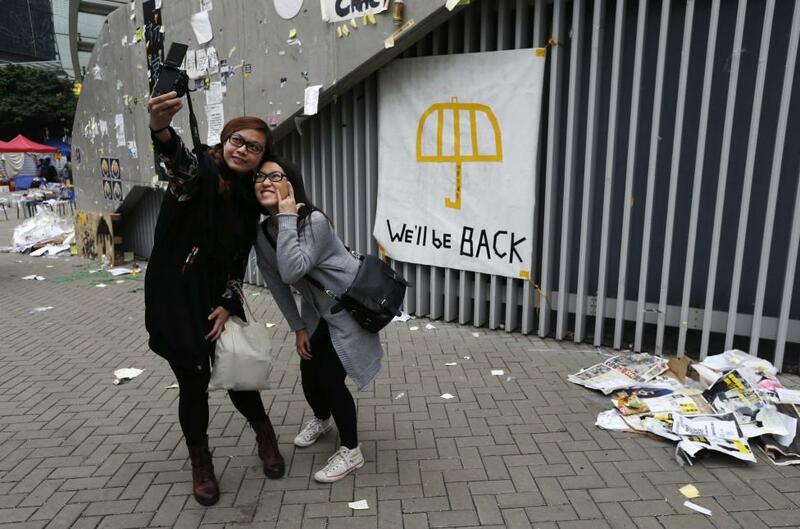 Pro-democracy supporters take a 'selfie' by a banner which reads "We'll be back". 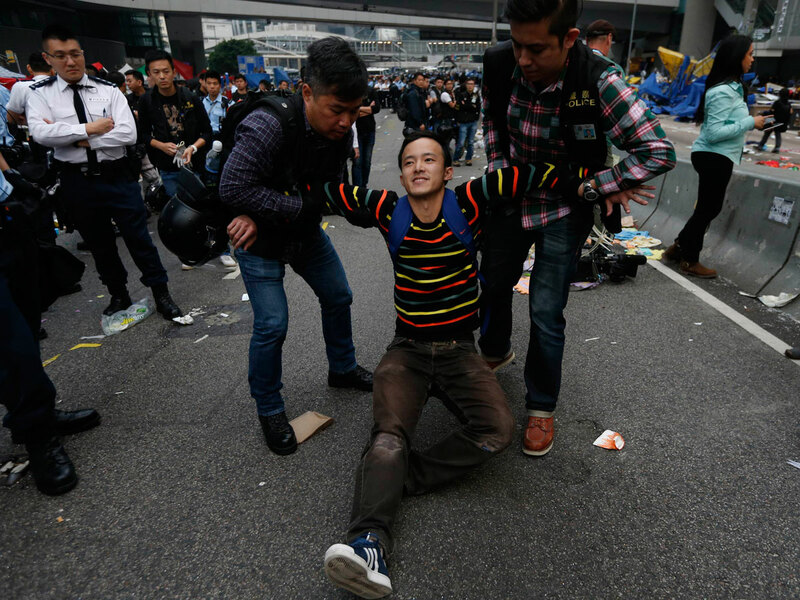 A pro-democracy supporter sits on a sofa as he and his fellow demonstrators block the road outside the government headquarters building. 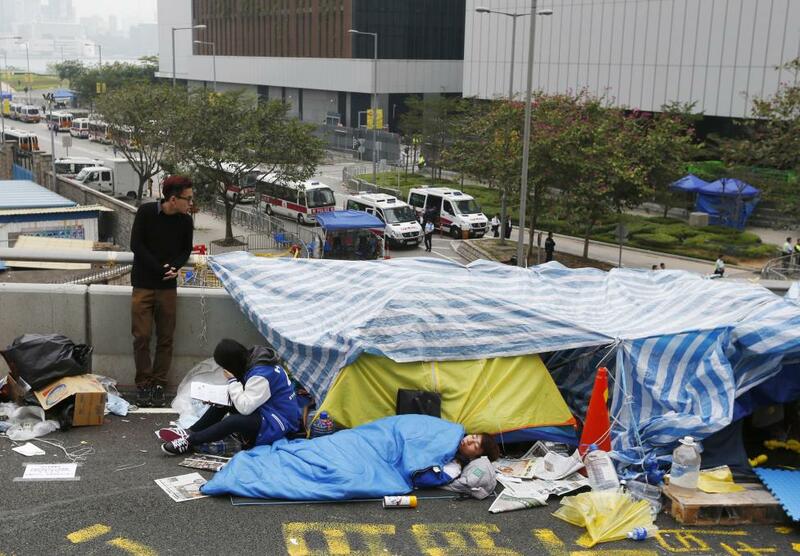 A pro-democracy supporter sleeps at a blocked area outside the government headquarters on December 11. 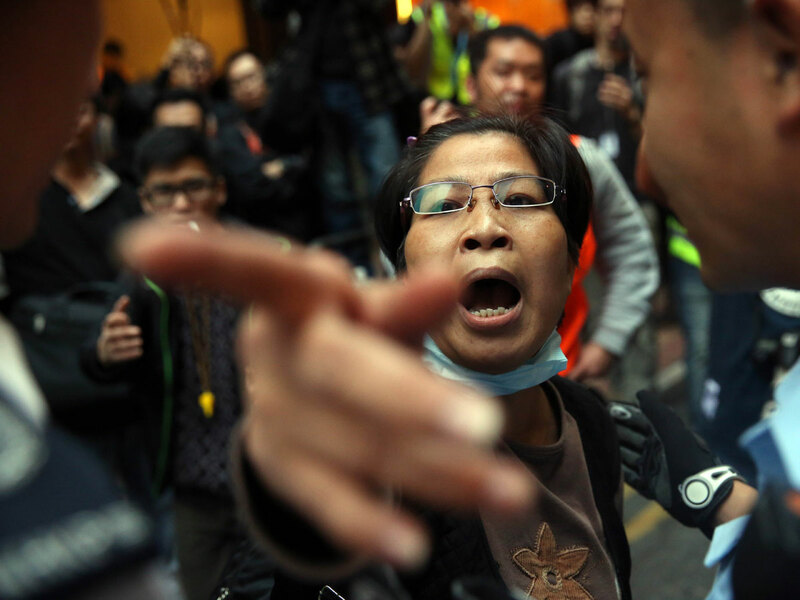 An anti-occupancy activist (C) argues with pro-democracy protesters near the government headquarters on December 11. 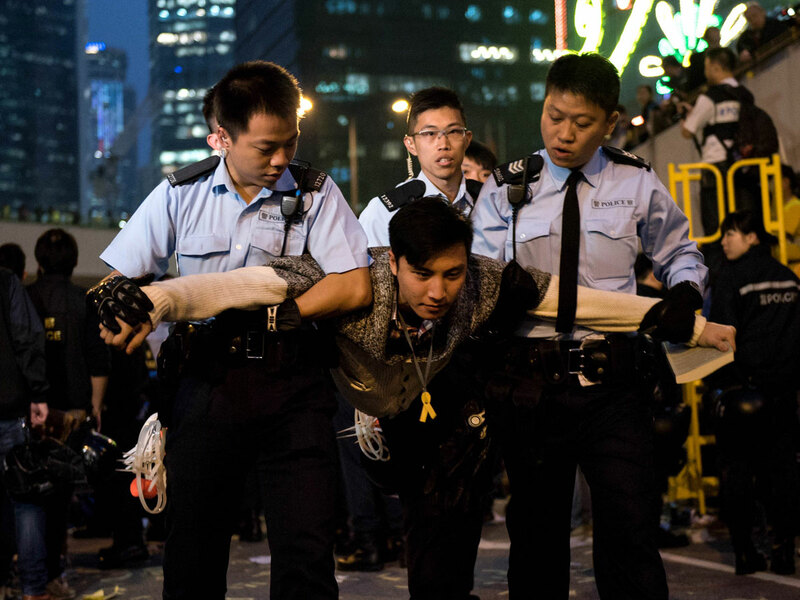 A protester argues with a police officer as she is being led away. 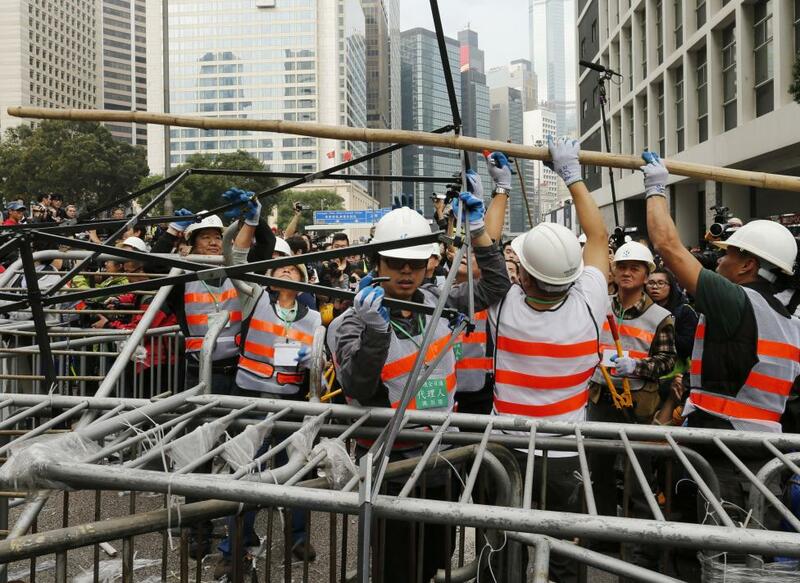 Workers remove barricades at an area blocked by pro-democracy protesters near the government headquarters building. 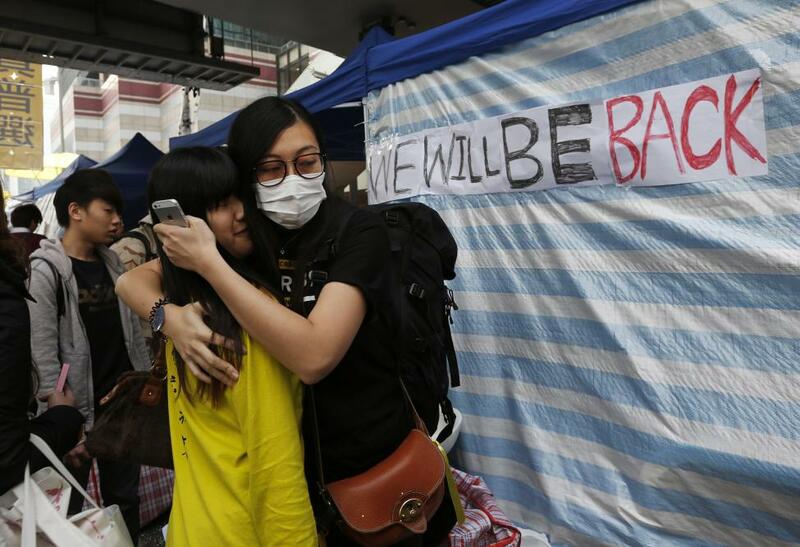 Pro-democracy supporters bid farewell to each other next to a banner. 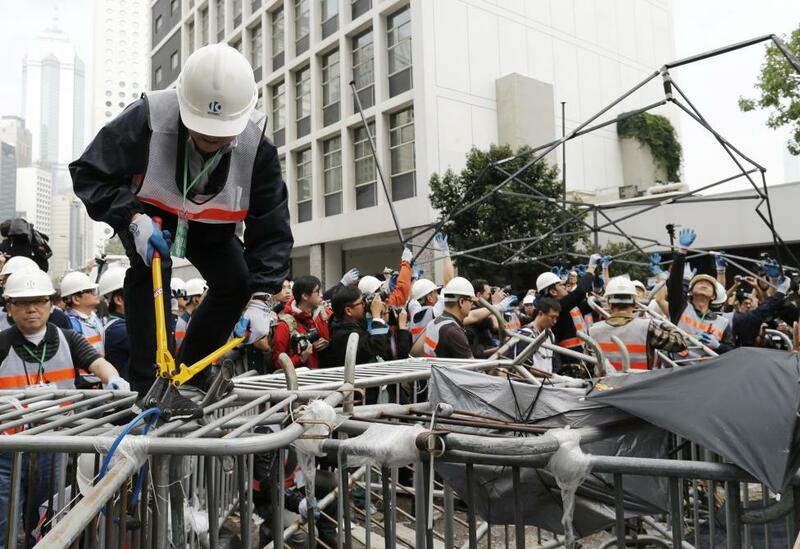 Workers remove a barricade at an area blocked by pro-democracy protesters near the government headquarters. 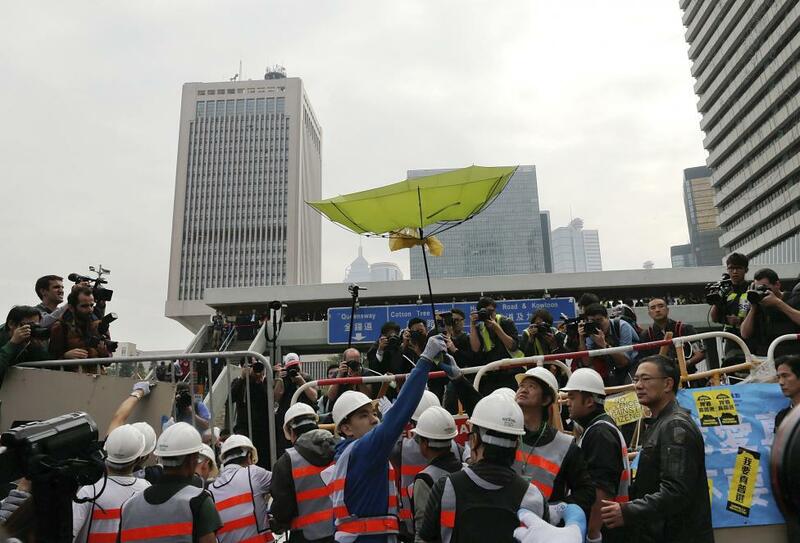 Reporters take pictures as a worker holds an umbrella near the government headquarters. 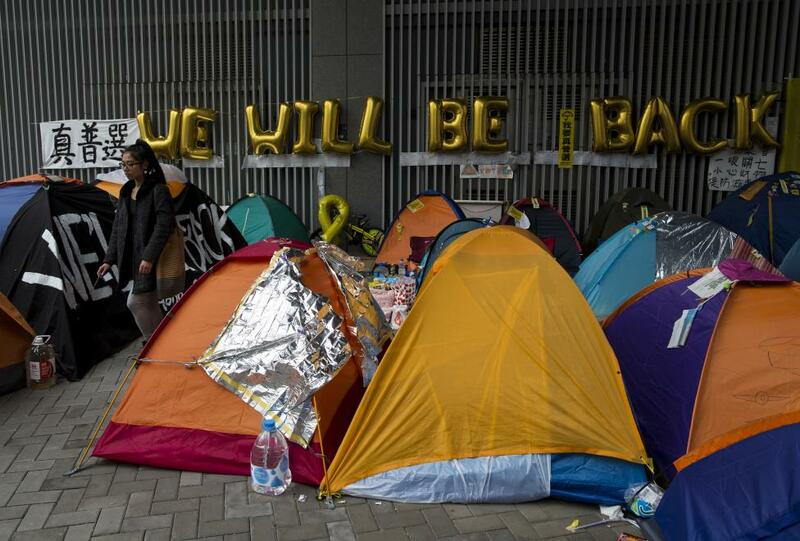 A pro-democracy protester walks past tents outside the government headquarters. 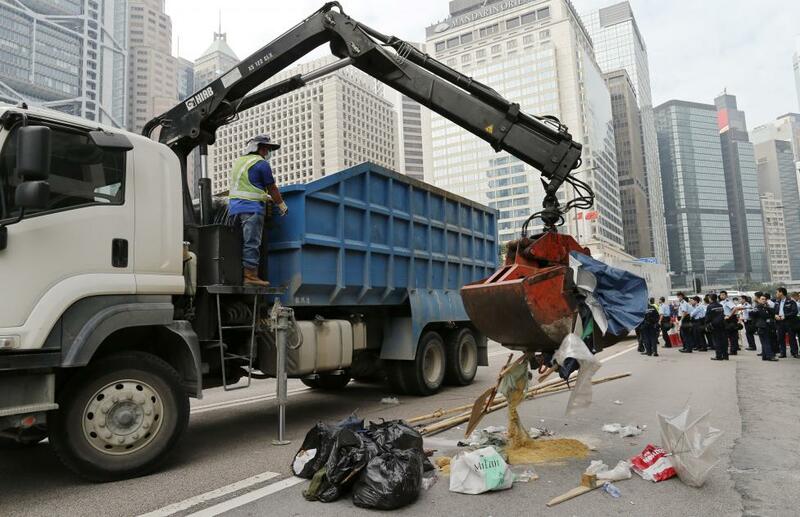 A crane picks up a bag of sand as a road blocked by protesters is cleared, near the government headquarters. 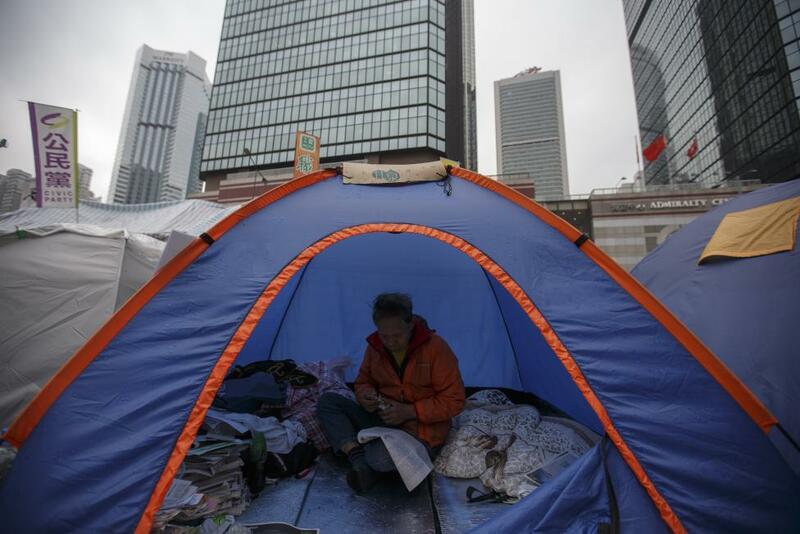 A protester reads the newspapers in his tent at an Occupy Central protest site. 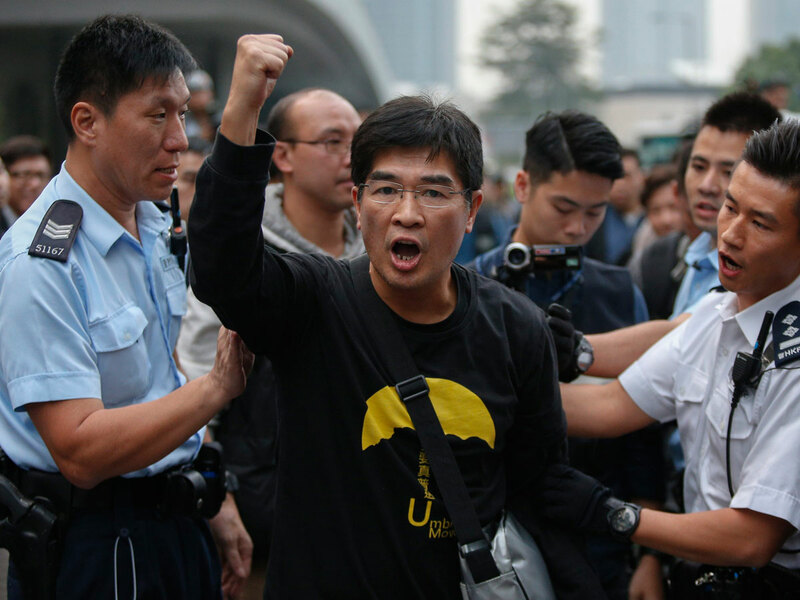 Pro-democracy protesters attend a rally outside the government headquarters on December 10. 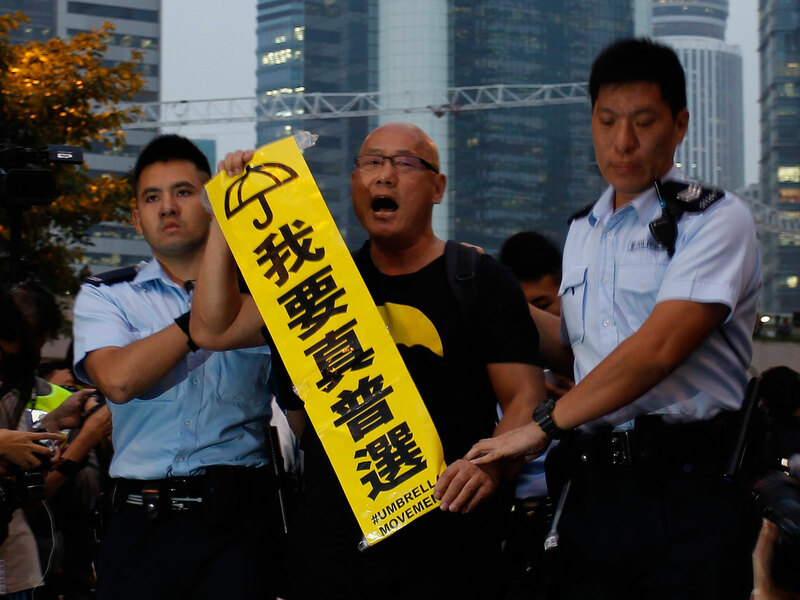 Pro-democracy supporters block the road outside the government headquarters building at the financial Central district on December 11. 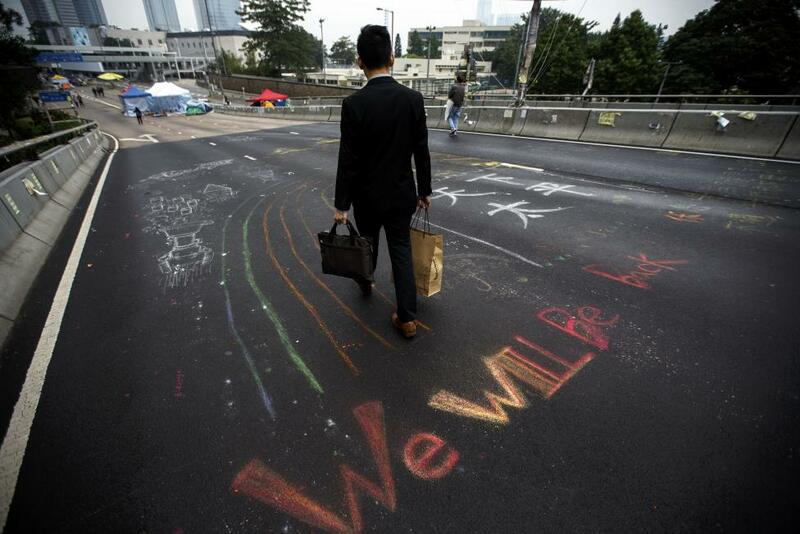 A man walks past a message written on an overpass by pro-democracy protesters at the financial Central district. 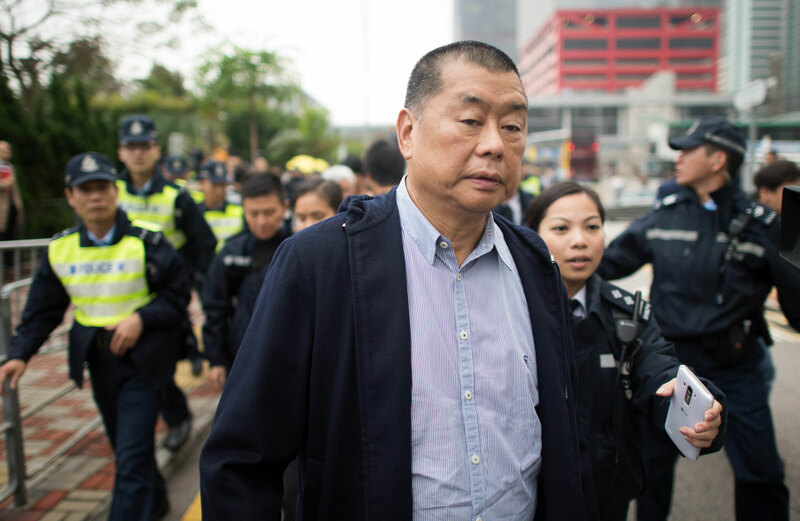 Media magnate Jimmy Lai of Apple Daily was one of the main financial supporters of the pro-democracy movement. 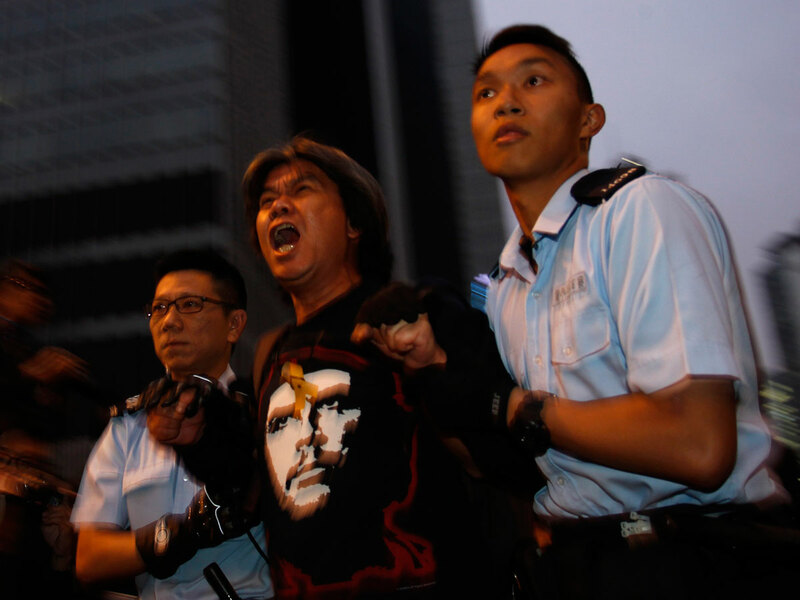 In all, 209 people were arrested for "unlawful assembly and obstructing police in the execution of their duties", police assistant commissioner Cheung Tak-keung told reporters in a briefing late Thursday. 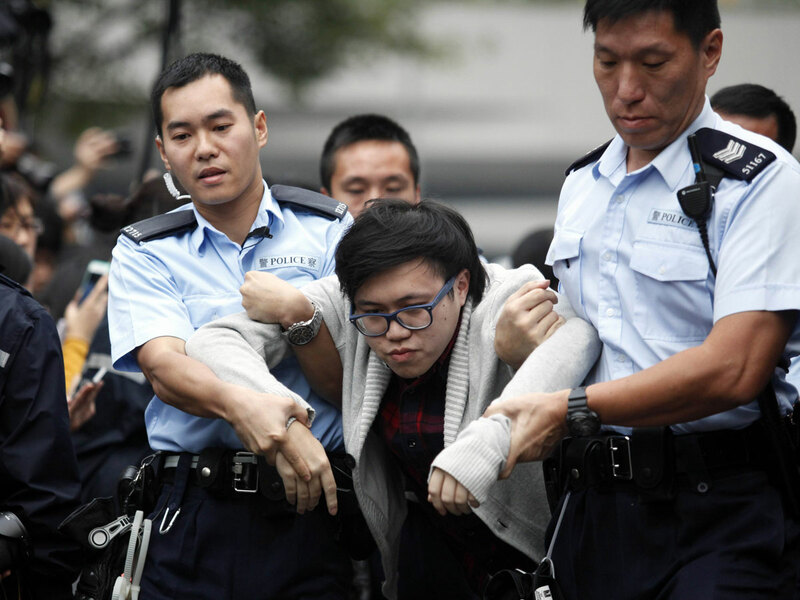 Protest group Hong Kong Federation of Students (HKFS) said that nine of its members had been arrested. 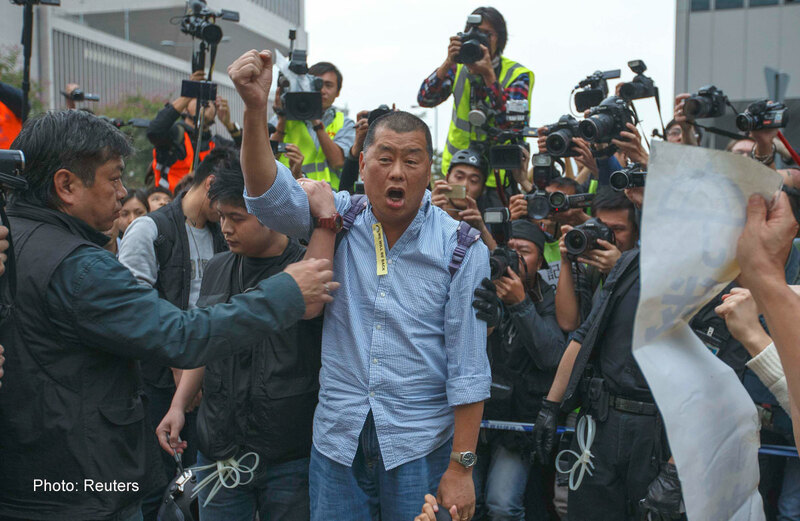 Media mogul Jimmy Lai, a fierce critic of Beijing, and veteran campaigner Martin Lee were among those led away - Lee holding up a victory salute to reporters. 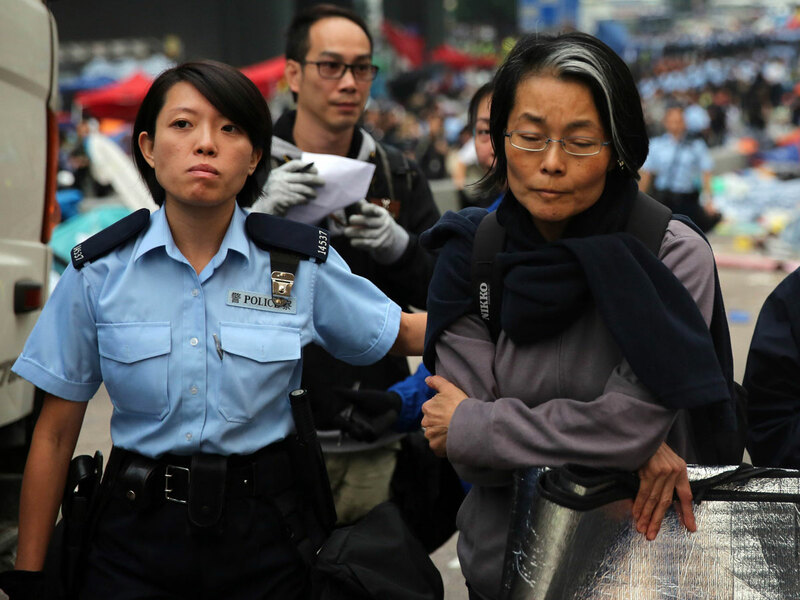 Singer Denise Ho shouted "Civil disobedience without fear," as she walked away with officers while lawmaker Claudia Mo sang "We will overcome" and shouted "We will be back" through a megaphone before being escorted off. 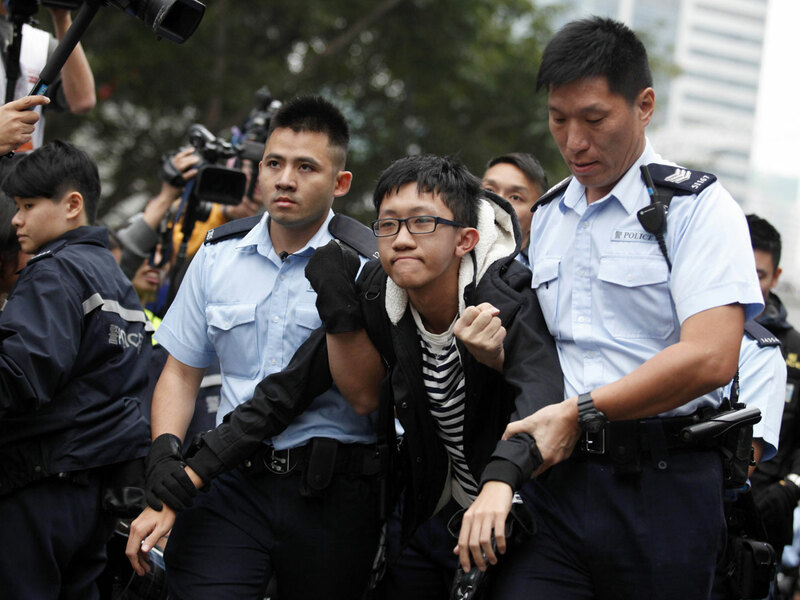 Student leaders Nathan Law and Eason Chung were also taken away by police, alongside ordinary protesters including an elderly man in a wheelchair. "This is not the end of the movement. 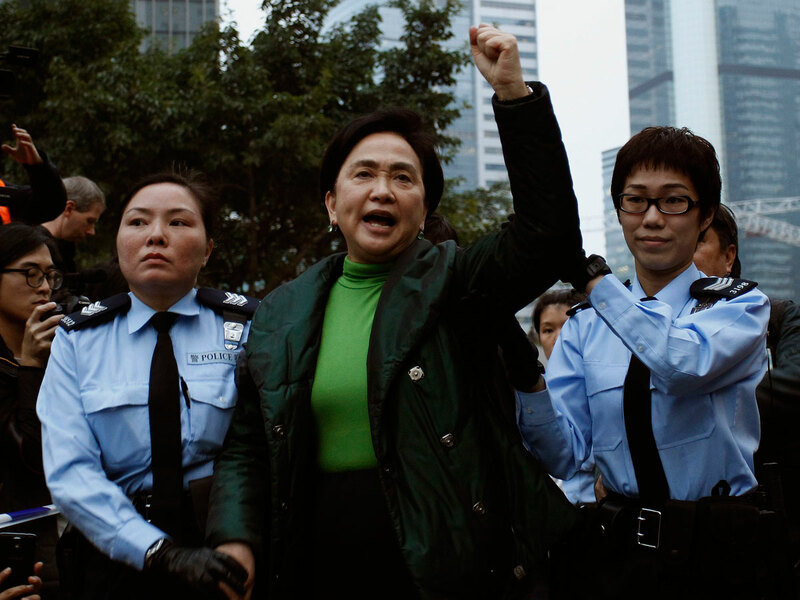 The political awakening amongst the young is irreversible and we will fight on," Mo told AFP earlier Thursday. 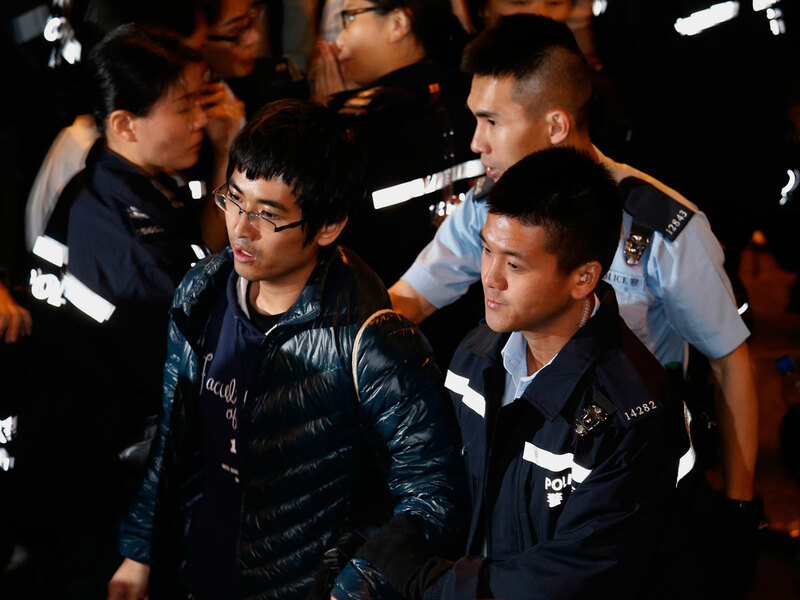 Lee added: "In the heart of every student who has participated in this movement there is now a fire burning, a fire for democracy. This fire cannot be extinguished by an iron fist." 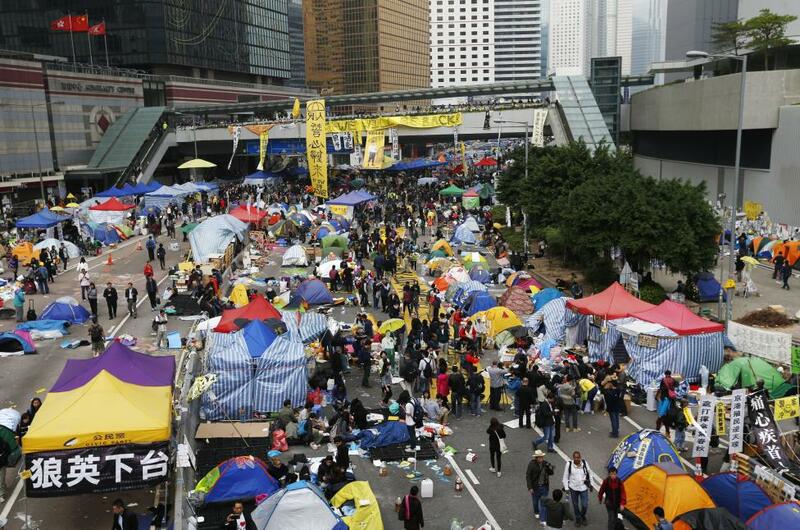 Earlier in the day, police had announced a "lockdown" after a 30-minute window allowing protesters to voluntarily leave the site - an encampment of tents, supply stations and art installations sprawling along a kilometre of a multi-lane highway through the Admiralty district. Some managed to leave after the deadline, but were asked to give their identity details to police.